Hanoi (VNA) – The State budget total collection in the first seven months of this year was estimated at 666.68 trillion VND (about 29.36 billion USD), an increase of 11.6 percent over the same period last year. The amount is equivalent to 55 percent of the whole year’s estimates, according to the Ministry of Finance. 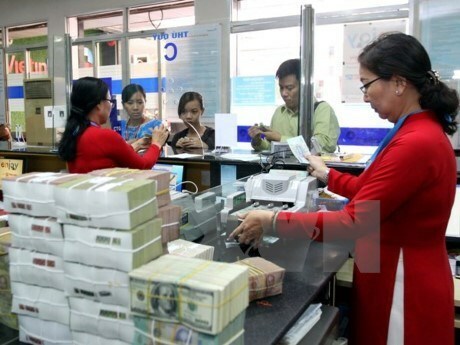 In the reviewed period, the domestic collection reached 532.5 trillion VND (23.45 billion USD), up 9.4 percent, accounting for 53.8 percent of the year’s estimates. The budget’s revenues from crude oil and import-export activities were over 27 trillion VND (1.18 billion USD) and 165 trillion VND (7.26 billion USD), up 16 percent and 8.9 percent, respectively. According to the ministry, 43 out of 63 provinces and cities collected 56 percent of their estimates upwards.